Vacation rental house. Sleeps 12, 5 bedrooms, 3 bathrooms. Dogs allowed. Bring the entire family! 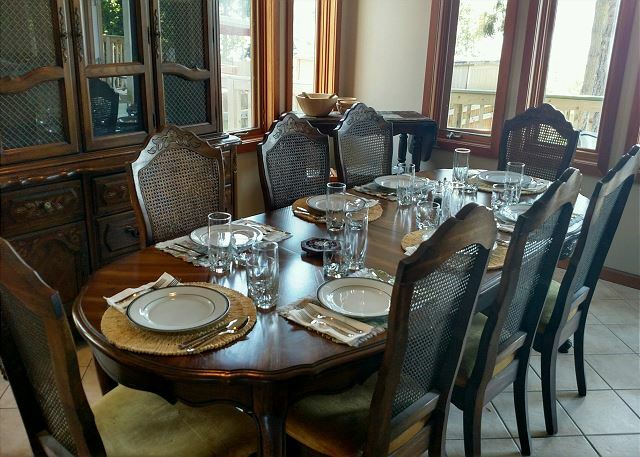 3000 Sq ft, 5 bed, 3 bath, spacious summer home available to host multi-generational gatherings, groups of friends for wine tasting, or a weekend getaway with close companions. This custom home can sleep 11 with 2 king beds, 1 queen, 1 full, and 3 twin beds. Air mattress also available for additional person. This home comes with ample amenities: An over sized kitchen with double ovens, 5 burner cook top, two sinks, wide main floor doors allowing for mobility devices (with a full bedroom and bathroom as well). French doors opening to the backyard deck with scenic vistas of Holmes Harbor, Greenbank, and the caps of the Olympic mountains in the distance. A private, community park with small boat ramp is available with key deposit. Just 7 miles from Freeland and 9 miles from Langley, you are a close drive to grocery, gas and restaurants along with sight seeing, and shopping. This location is just far enough off the beaten path for peace and quiet, but close enough to not miss the happenings of the towns. **Community beach access upon key deposit at our office. Inquire for more information. 2 DOG MAXIMUM. We enjoyed staying at this wonderful home conveniently between Langley and Freeland. All three families loved watchingvthe sunset from the back deck while the kids ran around the large backyard. There were deers in the feont yard and blackberries down the street. Very spacious, quiet, and comfy. Thank you for your comments. We are happy you found such an "enjoyable' stay on Whdibey Island. We hope to help you with your next stay on the Island. This great big house with five good-sized bedrooms and three baths plus a gigantic well furnished kitchen worked so beautifully for five adults and four children aged 6-14, and Buddy the dog for four nights. There were plenty of activities for all. The beach, beautiful but small, near the property lacked allure for the kids so we went to Double Bluff Beach not so long a drive away. The tide was out most of the days; so the beach combing and clamming were excellent. We also enjoyed the Farmers Market in Bayview. The grandparents had a lovely afternoon exploring Langley. The kids had a great time picking delicious blackberries in the neighborhood plus a good swim at Goss Lake Thank you to the helpful folks at Tara. Thank you for your comments. 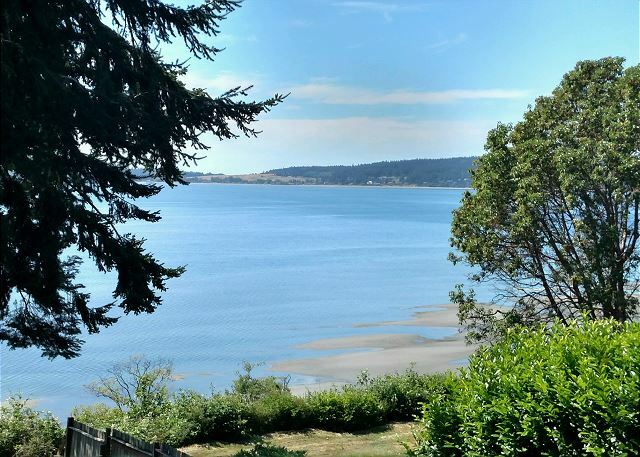 We are so happy you had such an enjoyable stay on Whidbey Island. there is so much for everyone to do here. We hope we can help you with another "great" stay on the Island. Large & lovely 5 bedroom house on Saratoga Channel, featuring a very well appointed kitchen, open living/dining areas & spacious yard with expansive water views & gorgeous sunsets. Thank you for your comments. 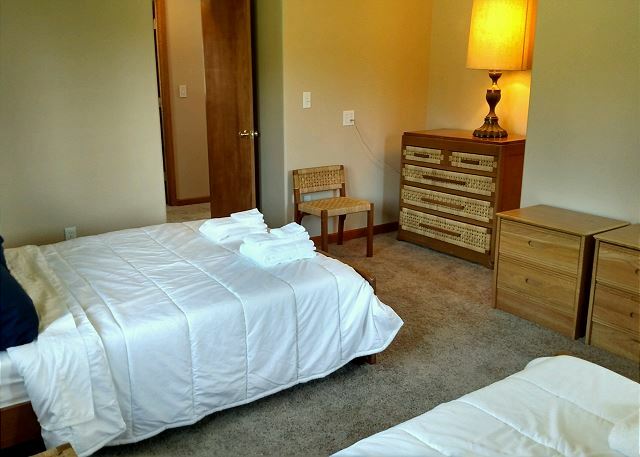 We are glad that you enjoyed your stay and the accommodations exceeded your expectations. We hope we can help you with your next stay on Whidbey Island. ROOMY HOME IRTH A GREAT VIEW. Our family of 11, from toddlers to teens, had a great time at the house. It was comfortable and especially had a great kitchen open floor plan to the living room. Our only complaint is tha the photos looked like it was on the water with a bench. The beach in the photos is acttually a short drive away. There are other state park beaches fairly close, so we ended up having good beach time with the kids.This is on the water but at the top of a fenced cliff. Nice views though. By the end of the week we appreciated the fenced yard so the toddlers could play outside without danger of water access..
Another plus: lots of staples in the cabinets, like olive oils and vinegars and hot sauces. We needed a few air mattresses to accommodate our older tall teens, and the managers supplied one. All queen/full sized beds for adults on the second floor - Not perfect for our tall family couples. Thank you for your comments! 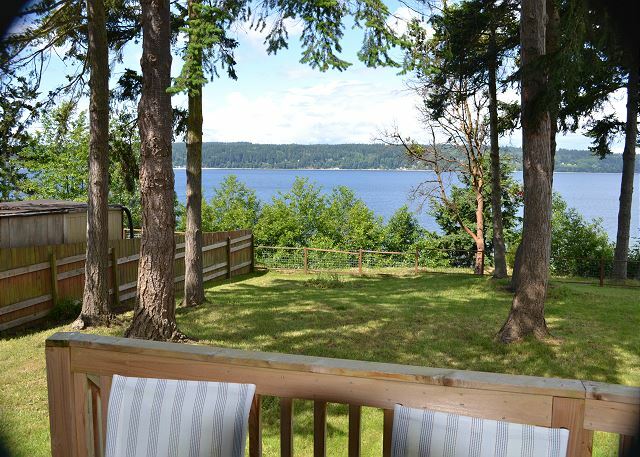 We are happy you had a wonderful family stay on Whidbey Island. We are always happy to help our guests to have a great experience :) We hope you can come back again! The house was perfect! Just enough room for everyone. I loved that our dog could come. The private beach access made for amazing smores and fishing. I would love to make this an annual reip! Thank you for your comments. We are happy that your stay was 'perfect"! We hope we can help you with your next stay on Whidbey Island..
Was a great experience to spend some family time with kids and grandkids. Close enough to town but far enough away from any crowds. Quiet area lots of wildlife to see. We saw deer and eagles everyday. House very cozy. A must for a Northwestern adventure. Thank you for your comments. 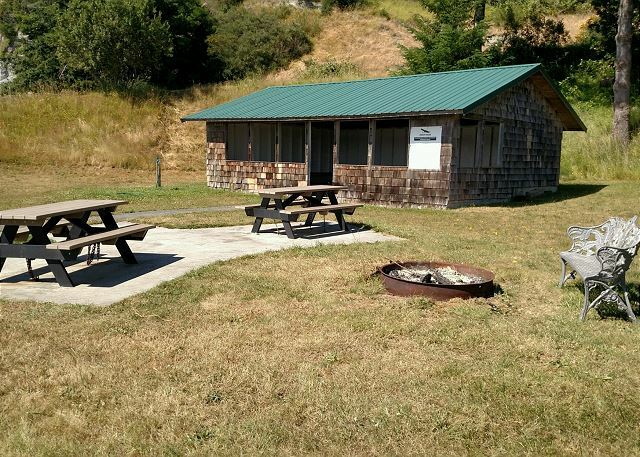 We are happy you had a a "great experience" on Whidbey Island. We hope we can help you with your next stay on the Island. We held our annual family reunion in this home and it was perfect. The weather didn't cooperate, so we were happy to have indoor space to play board games, visit and cook tons of food in the gourmet kitchen. Thank you for your comments. We are so happy that your stay was "perfect". We are sorry about the weather not cooperating but let us help you with your next stay on Whidbey Island. Found a couple of items that present a safety risk that you may want to look into. The coffee pot does not shut off automatically as most modern versions do. We accidentally left it on twice. It presents a fire hazard since most expect coffee pots to turn off now. The toaster is extremely old and is all metal and gets hotter on the outside than any toaster I have used in 20 years. It has melted plastic all over the outside from things getting too close. It gets hot enough to burn a child for sure. Both are work fine, but seem like they present a liability to the owners. Vacationers are not always careful. Thought you might want to know. Thank you for your comments. We have passed on your suggestions to the owners. 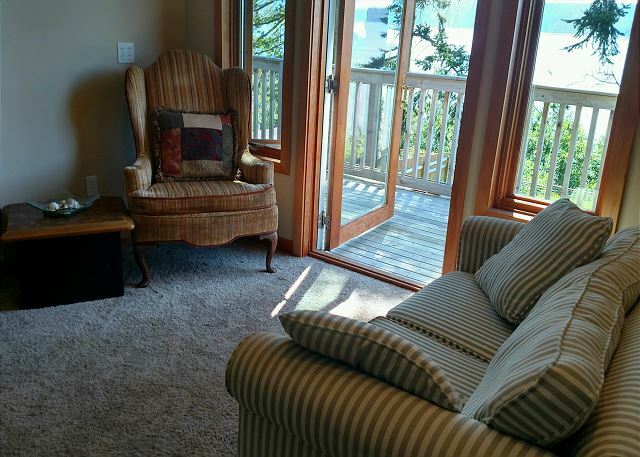 We hope we can help you with your next stay on Whidbey Island. We had such a nice experience with Harbor View Haven. It does a a beautiful view that is enjoyed both outside and inside. The property was clean and well maintained. Everyone at Tara was so friendly and thoughtful too. Our group of 11, 3 children, were very comfortable. There is much to do around this location but we were thrilled to have the beach close, the yard, and even a player piano to enjoy without travel. I must say the piano was amazing and found our children and adults singing Putt'n on the Ritz and other oldies. What fun! Thank you Tara Vacation for a wonderful family memory. Thank you for your comment. We are happy you had a "nice" experience on Whidbey Island, we hope to help you with your next vacation on the Island. My family and I had a great time. We went clamming on the private beach and caught our dinner. We set crab pots in the harbor in Langley and caught some more good eats. We explored Anacortes, Deception Pass and had the comfort of a great home to come back to. It was fab! Thank you for your comments. 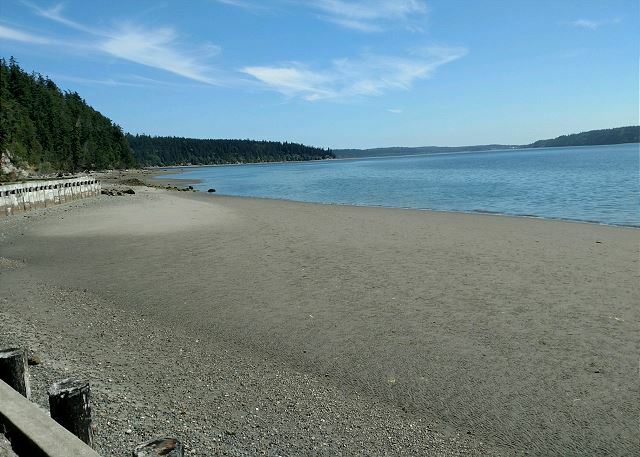 We are so happy you had a "great time on Whidbey Island, please let us know if we can help you with your next vacation.